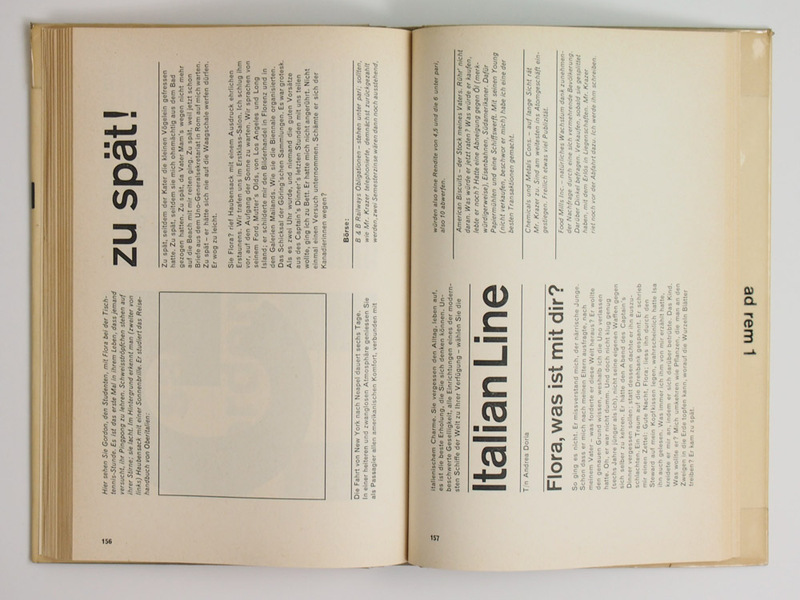 kutter’s story is an experimental novel about a journey from new york to europe on the liner “andrea doria” which actually sank before the book was finished as mentioned in the afterword. 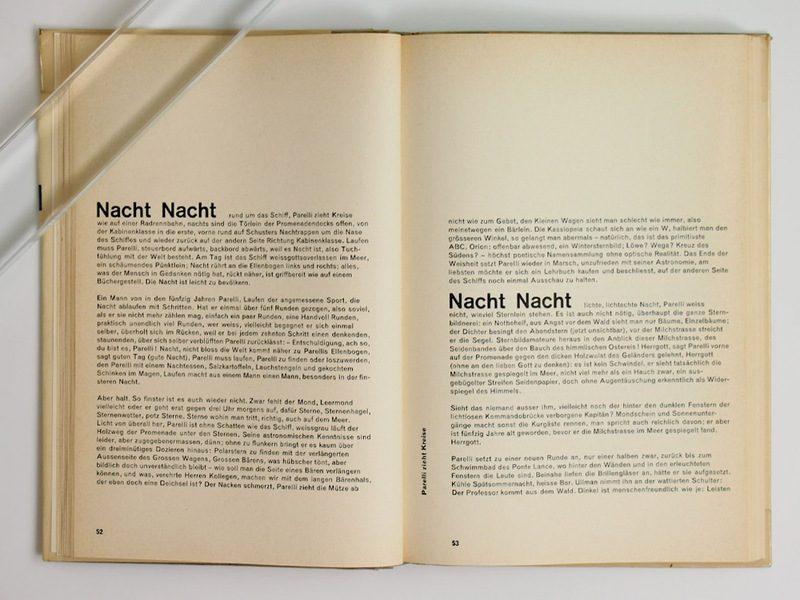 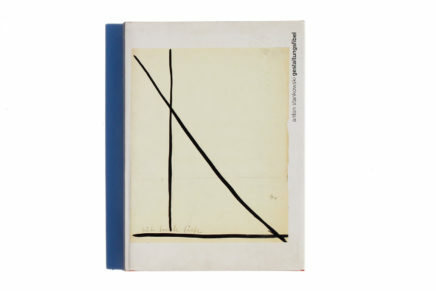 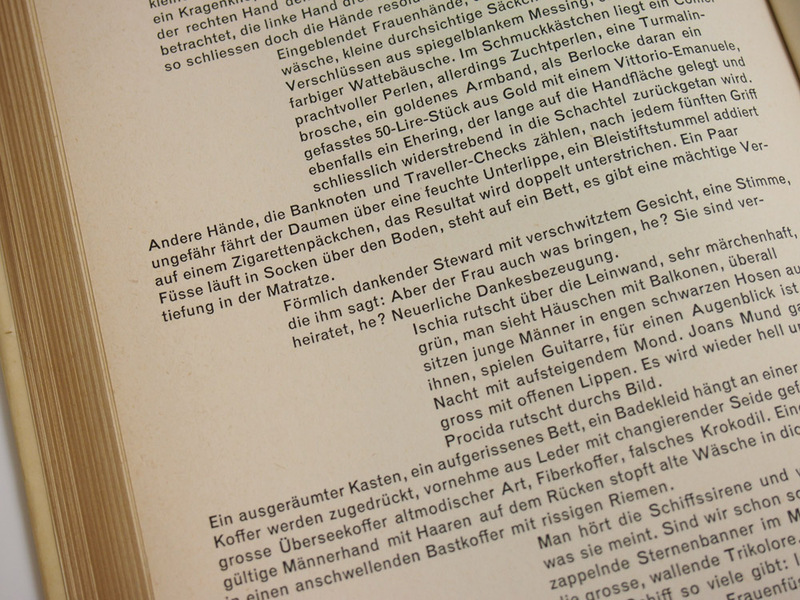 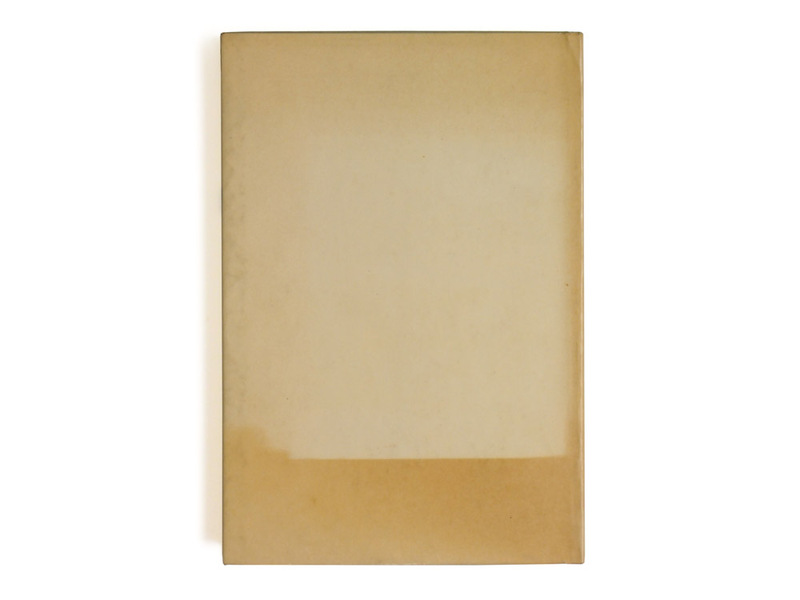 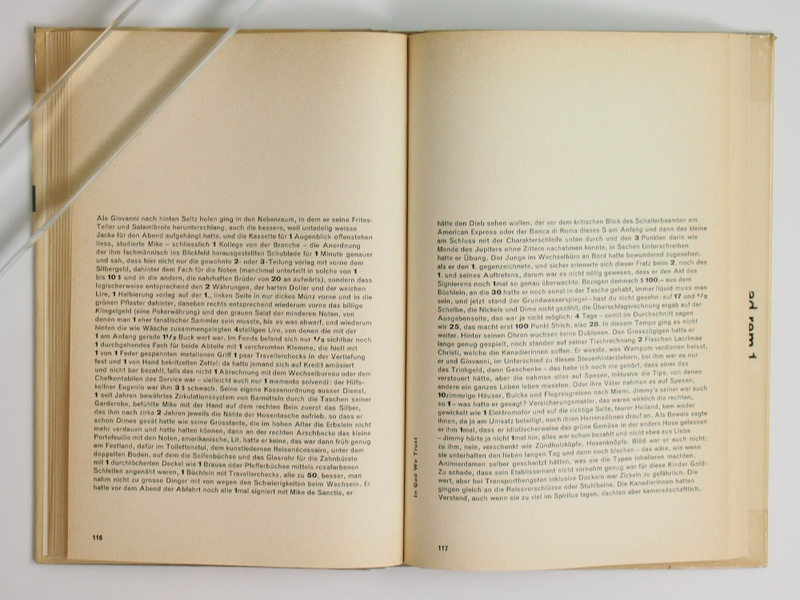 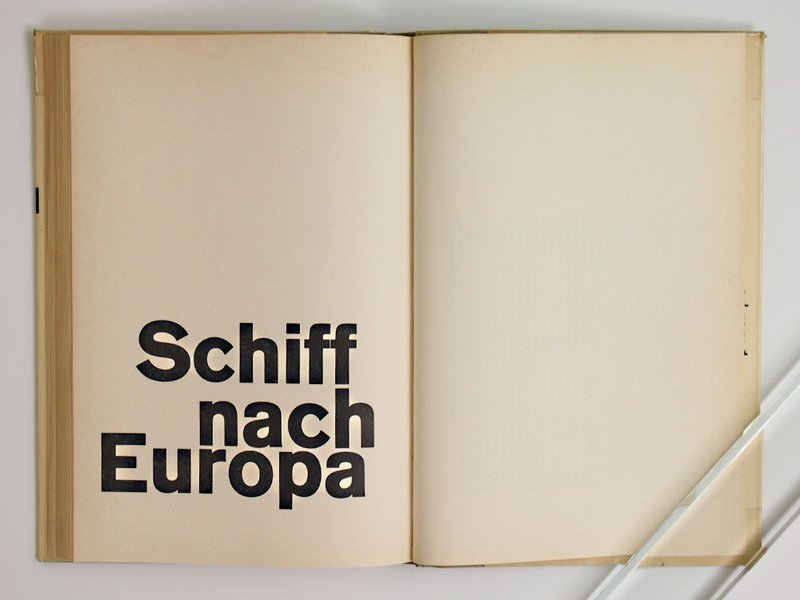 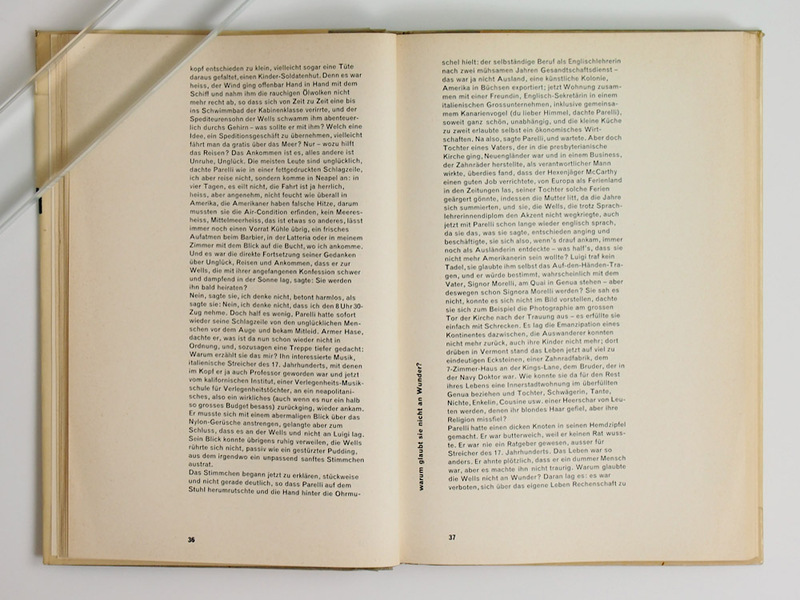 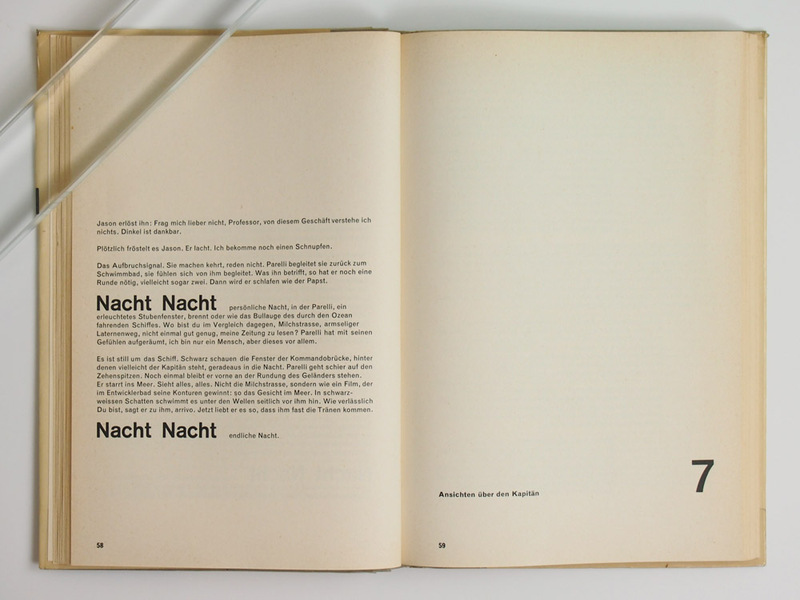 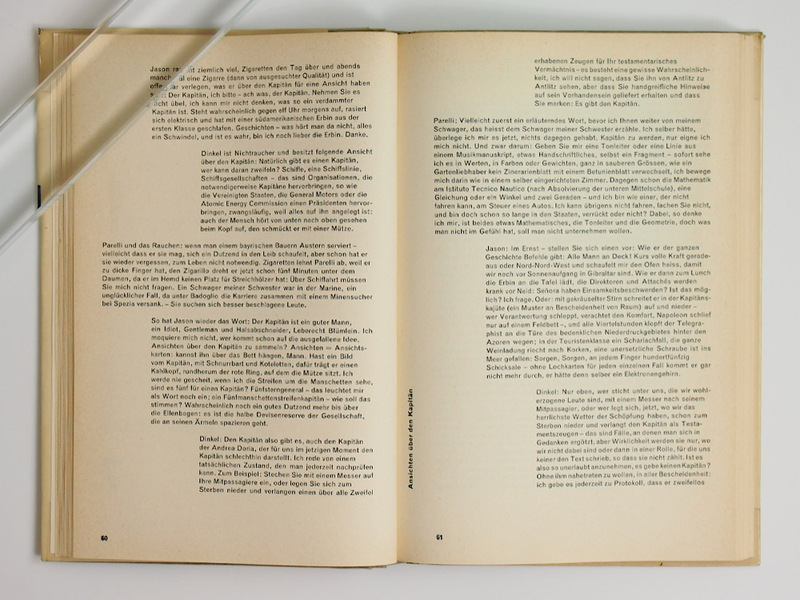 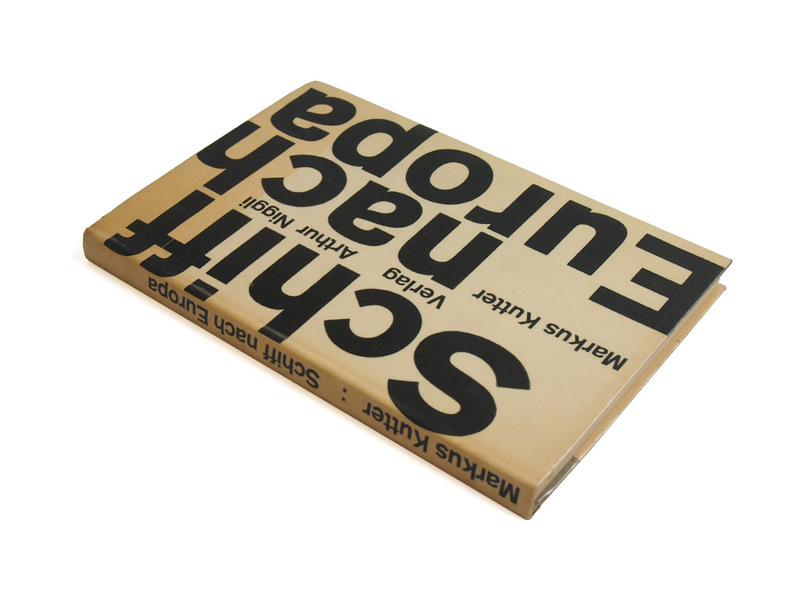 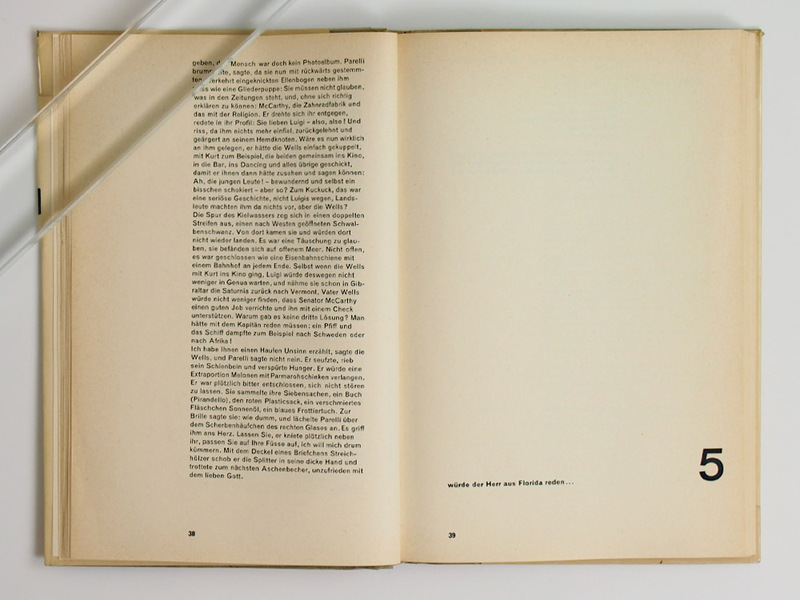 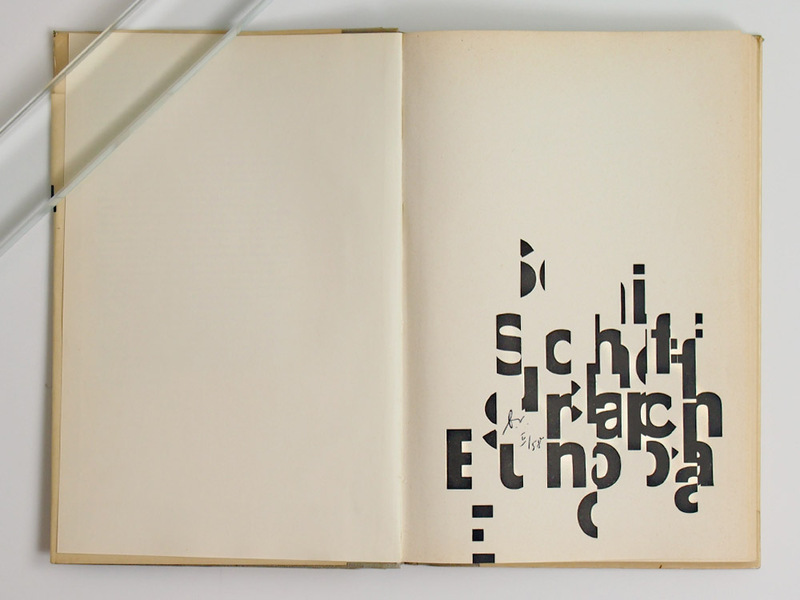 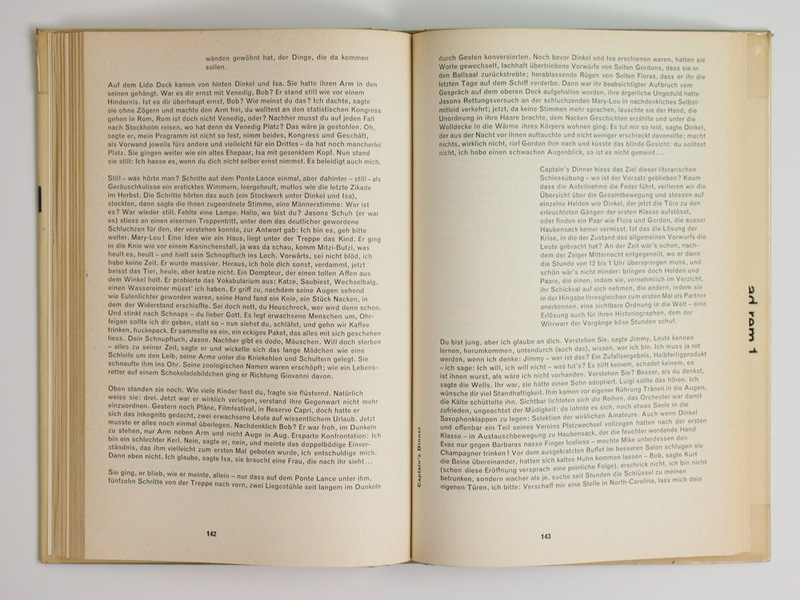 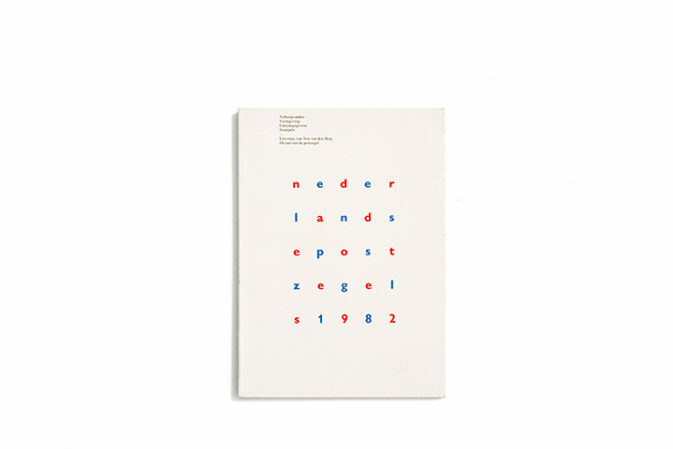 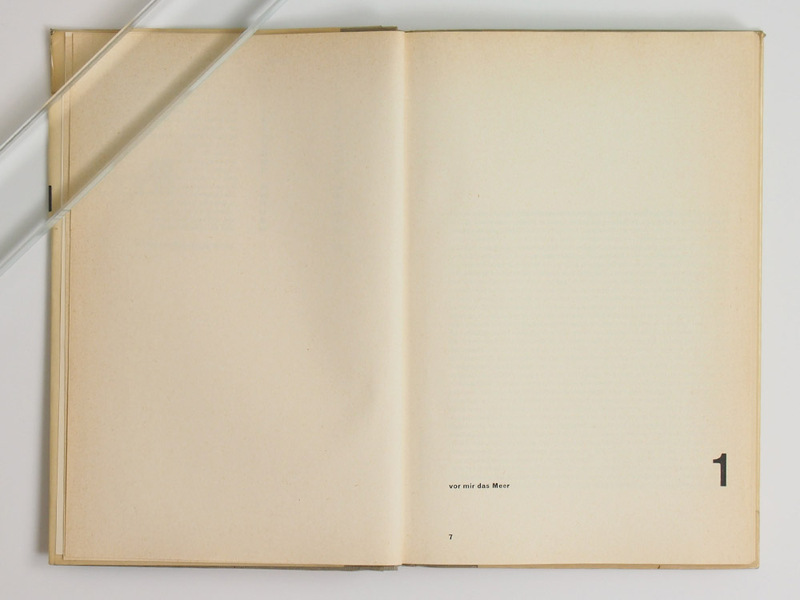 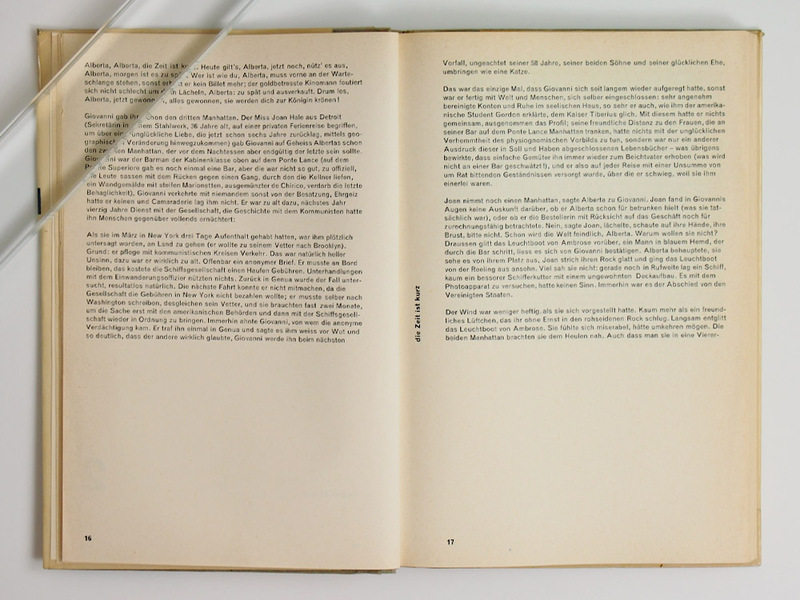 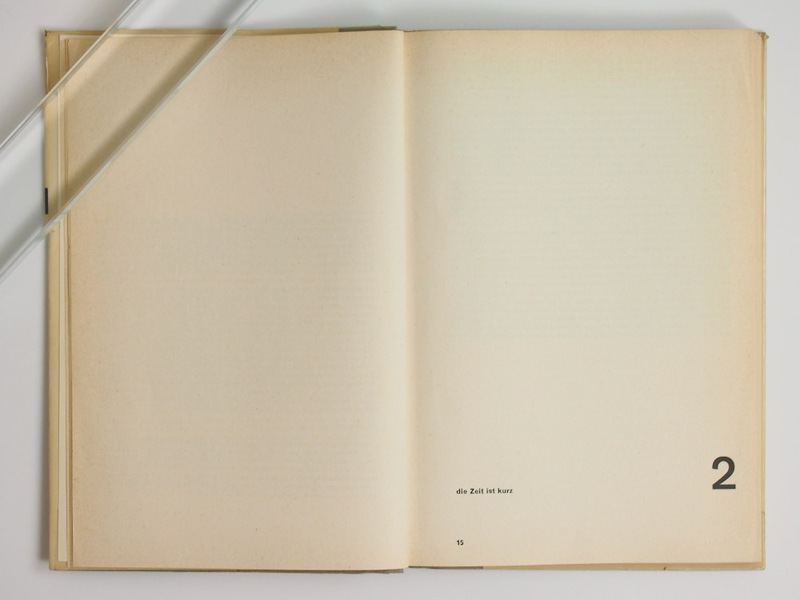 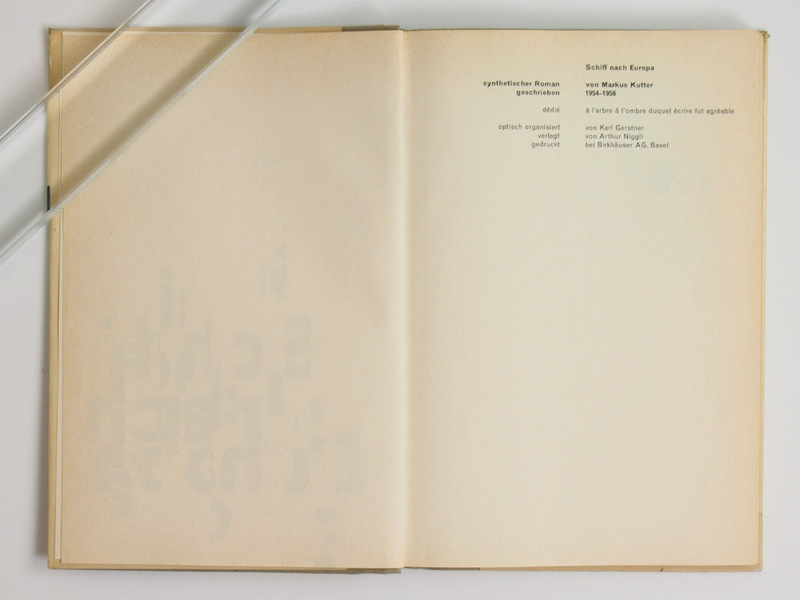 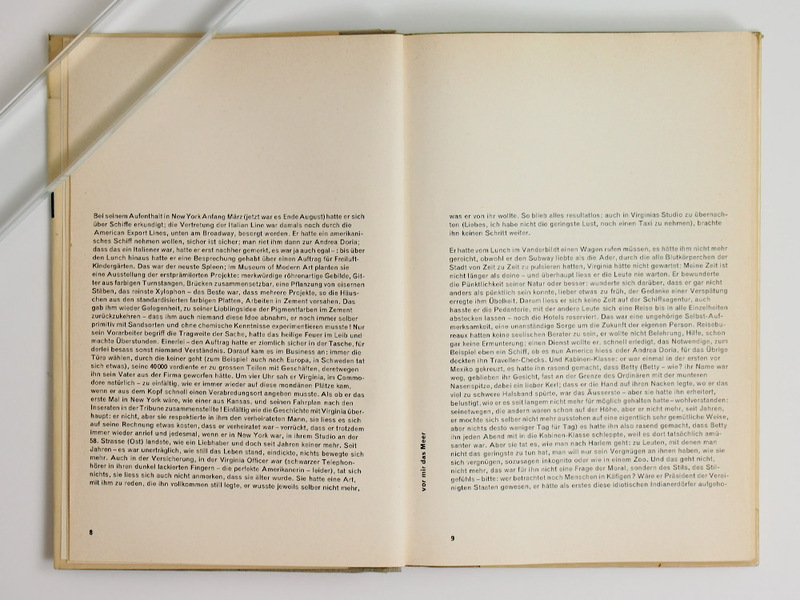 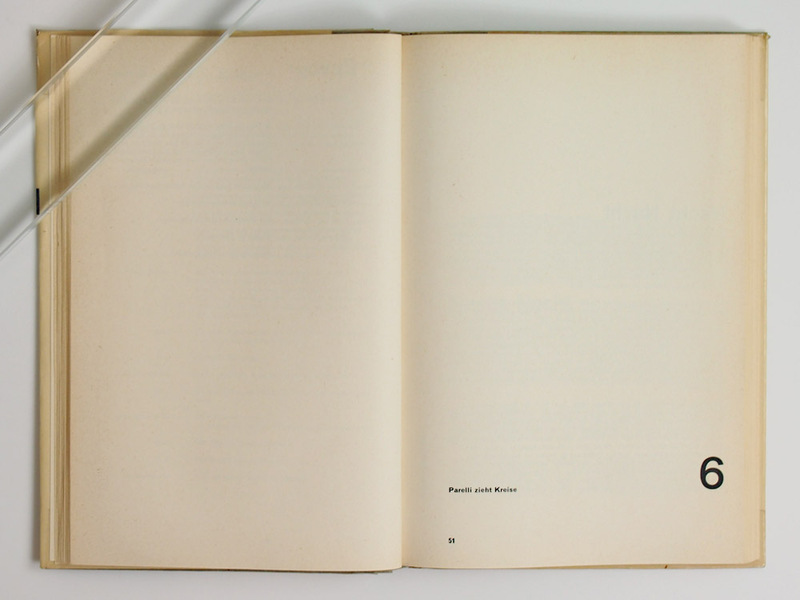 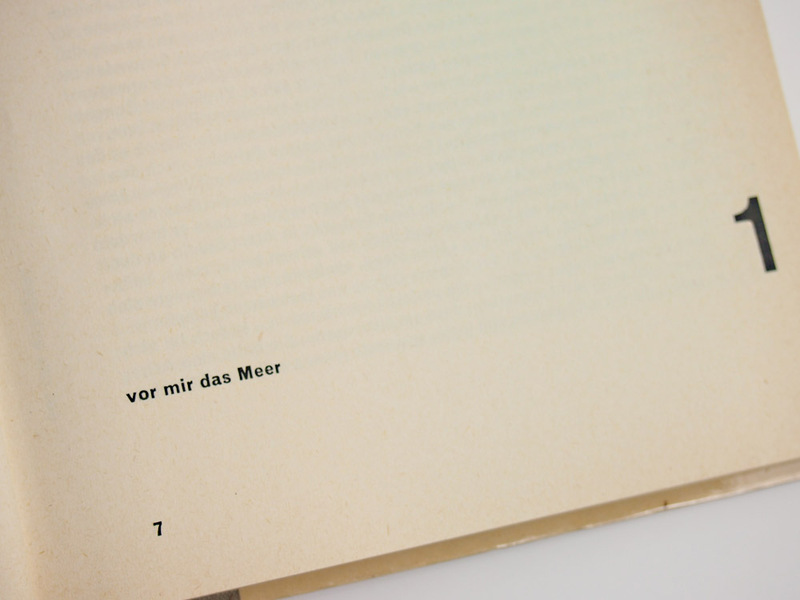 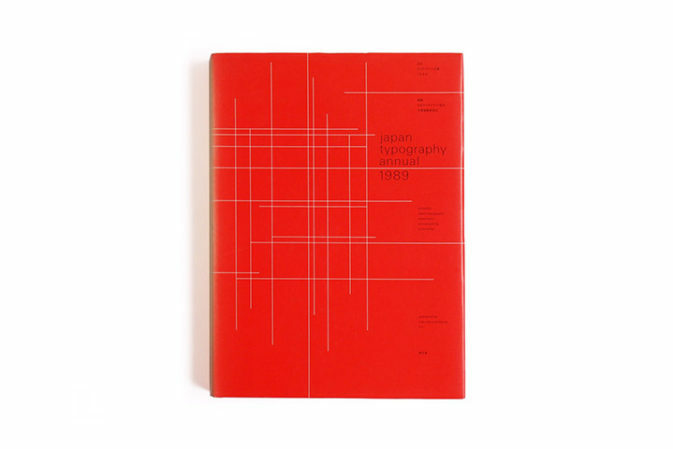 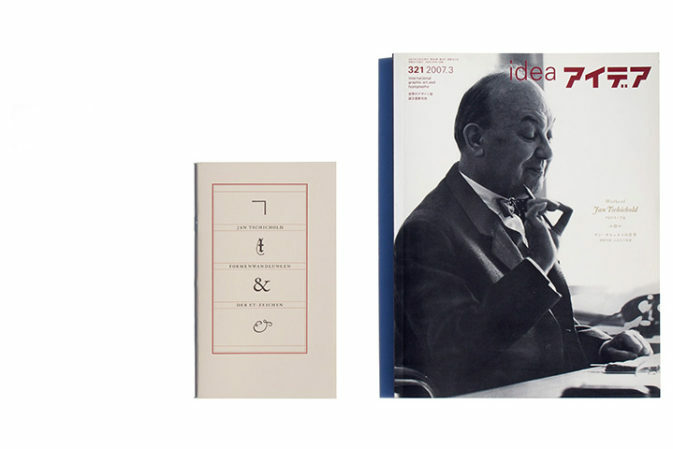 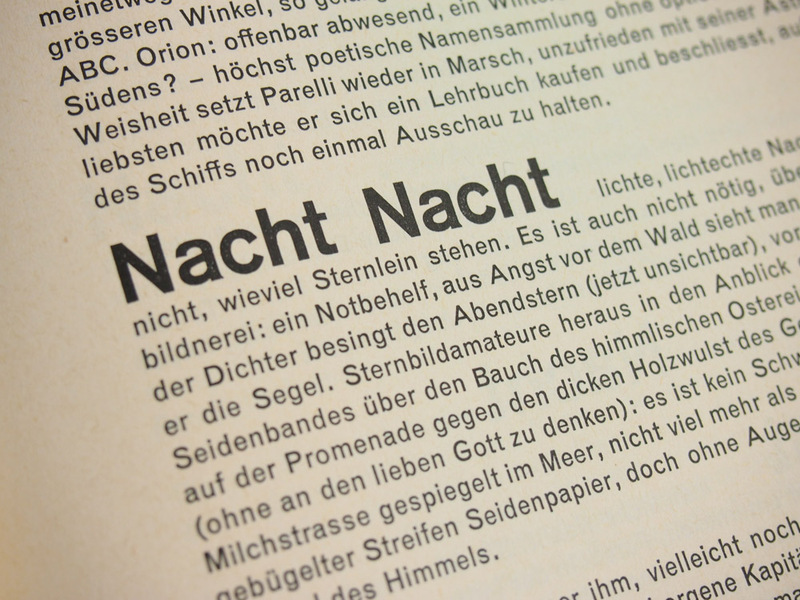 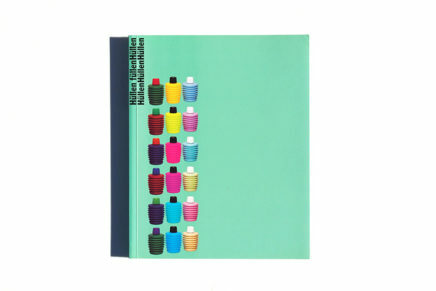 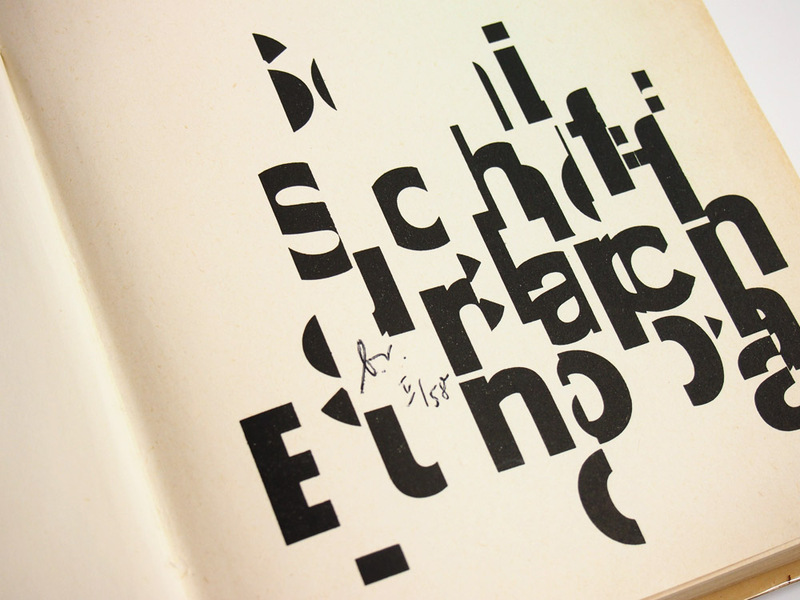 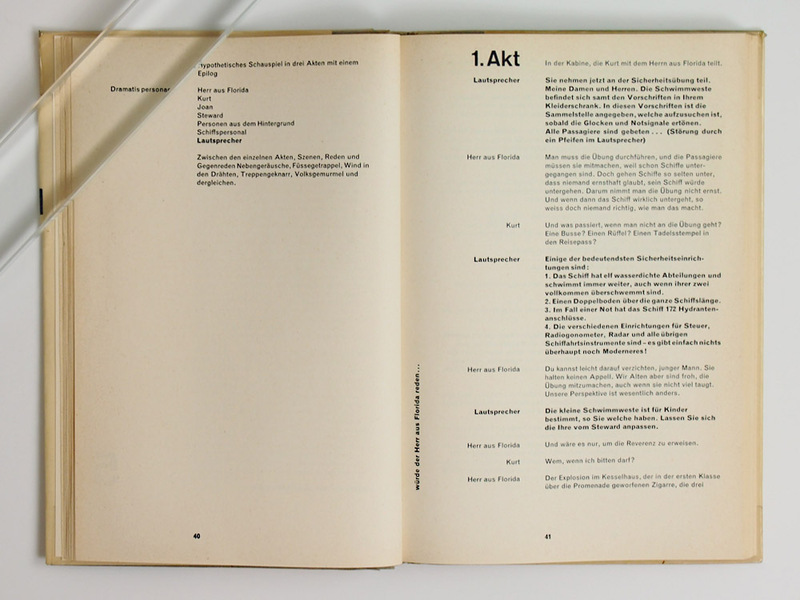 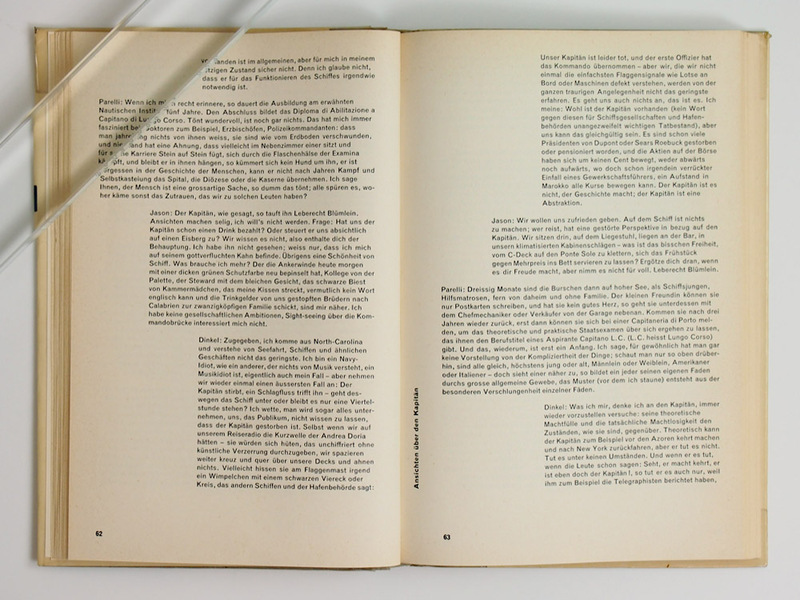 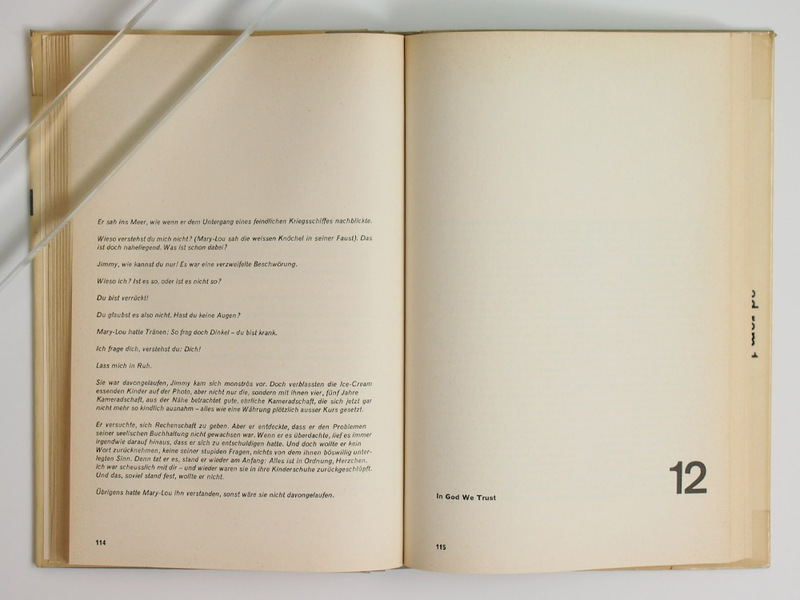 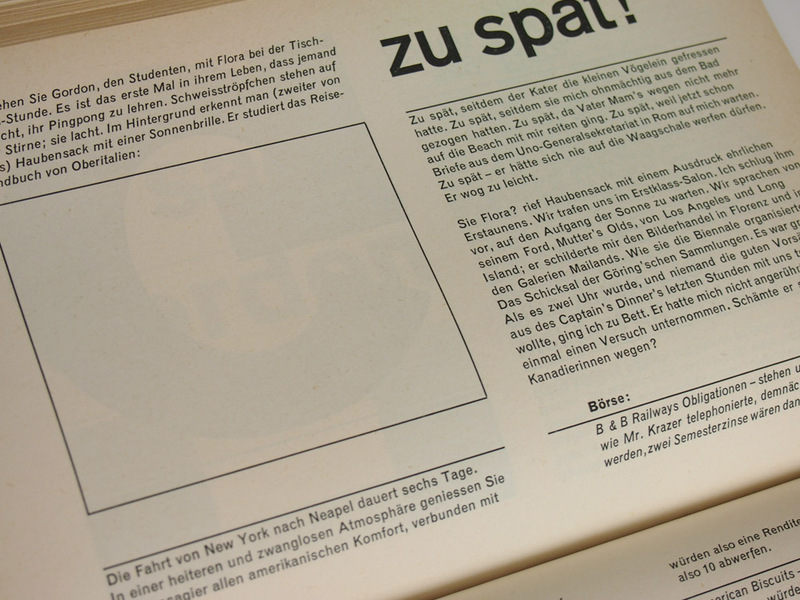 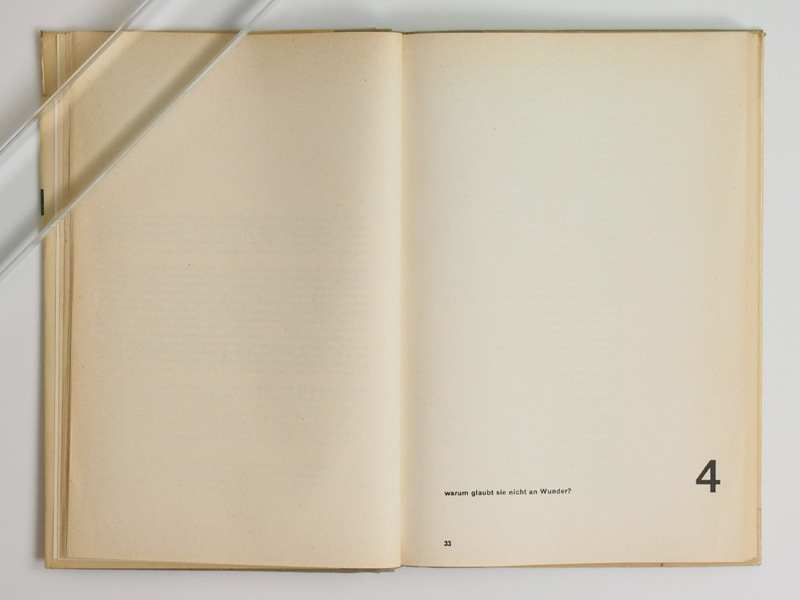 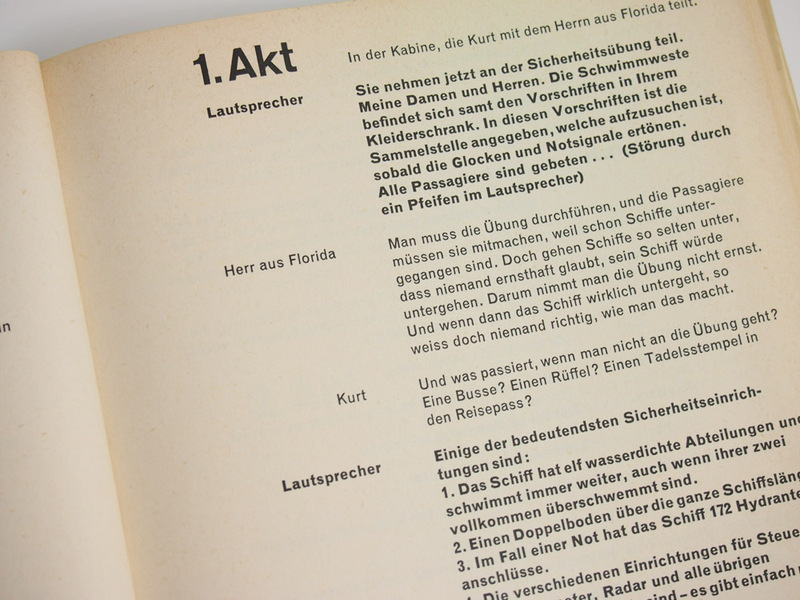 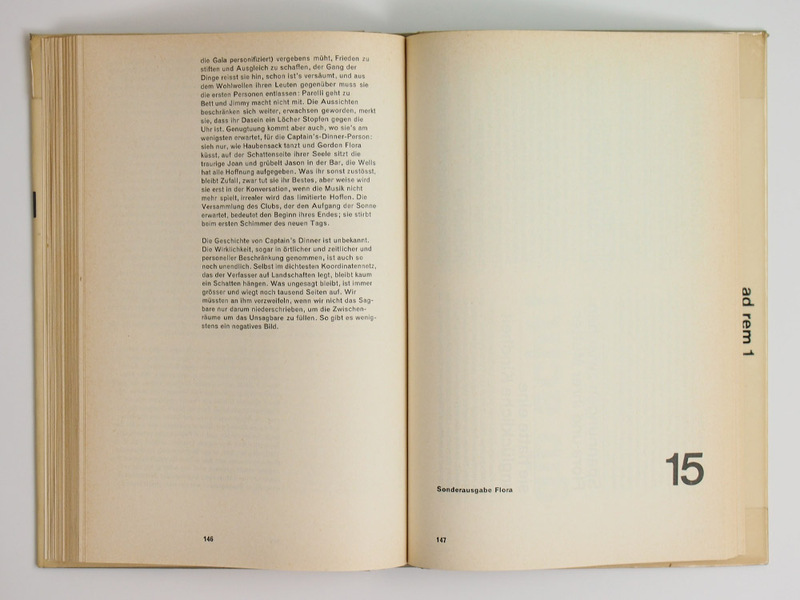 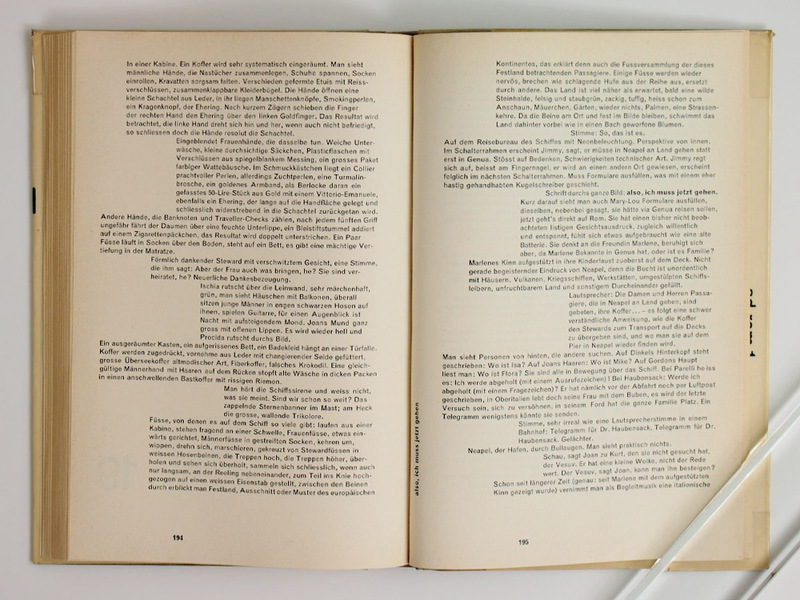 the book is primarily known for its experimental design by gerstner that won a “most beautiful swiss books” award. 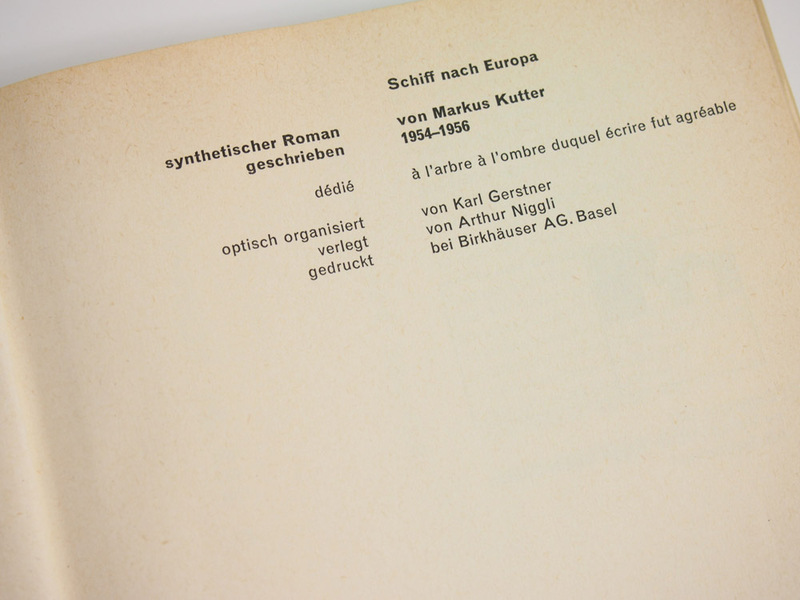 the halftitle page is rather surprising: the cut-up letters mark a “deconstructivist” style already beyond the classic swiss typography of the 1950s. 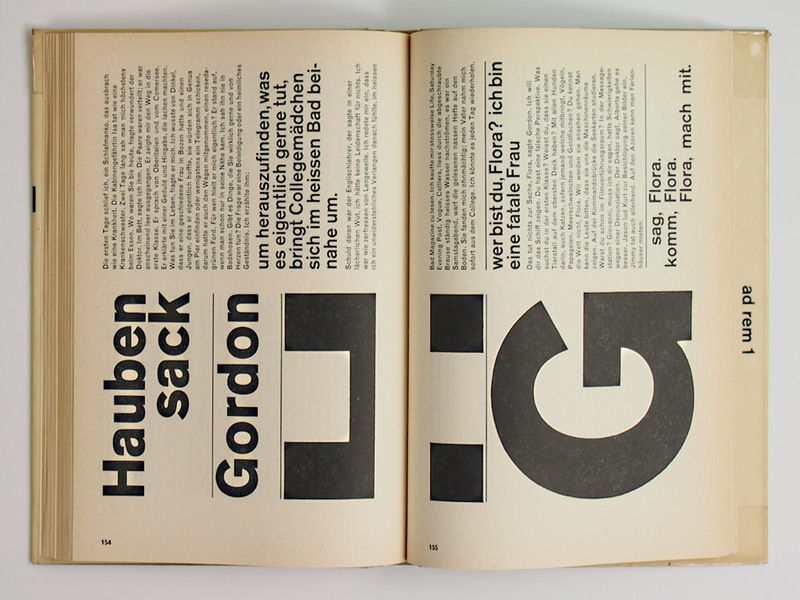 it is related to gerstner’s art, e.g. 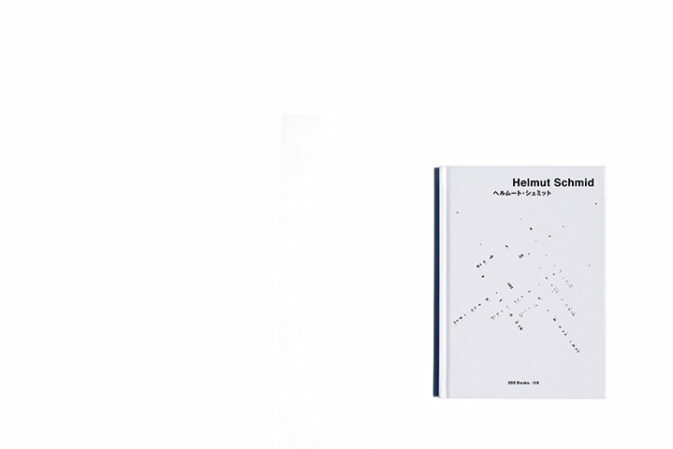 his modular multiples which could be recombined by the user. 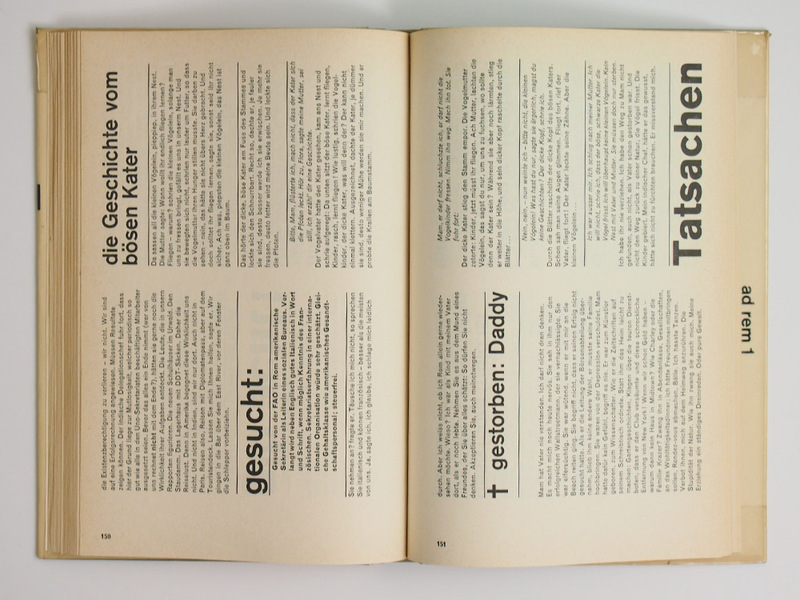 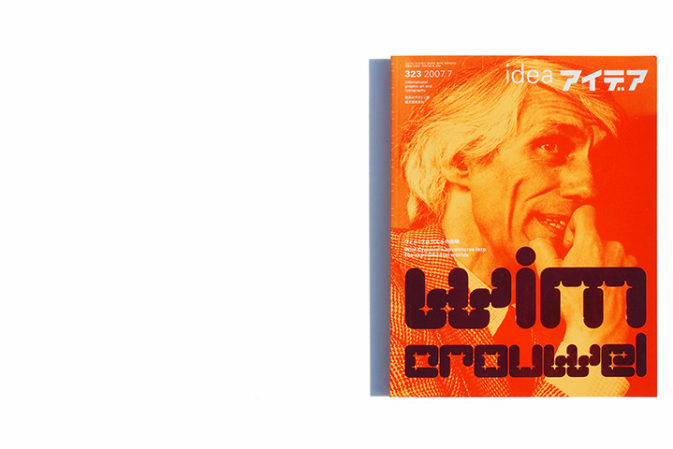 the book is also a kind of hommage to the sans-serif typefaces akzidenz-grotesk (used for the bigger, hand-set sizes) and monotype grotesque (used for the machine-set copy). 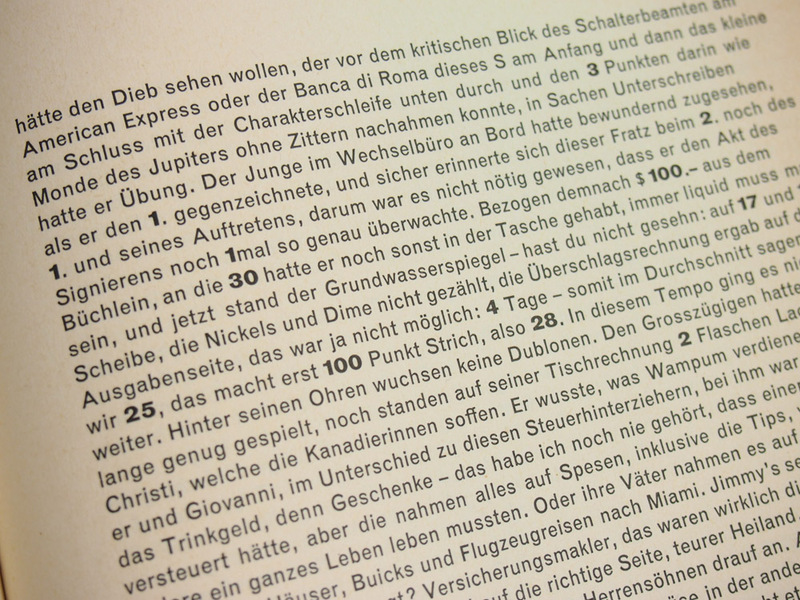 the many different sizes and weights make some pages almost look like a type specimen catalogue. 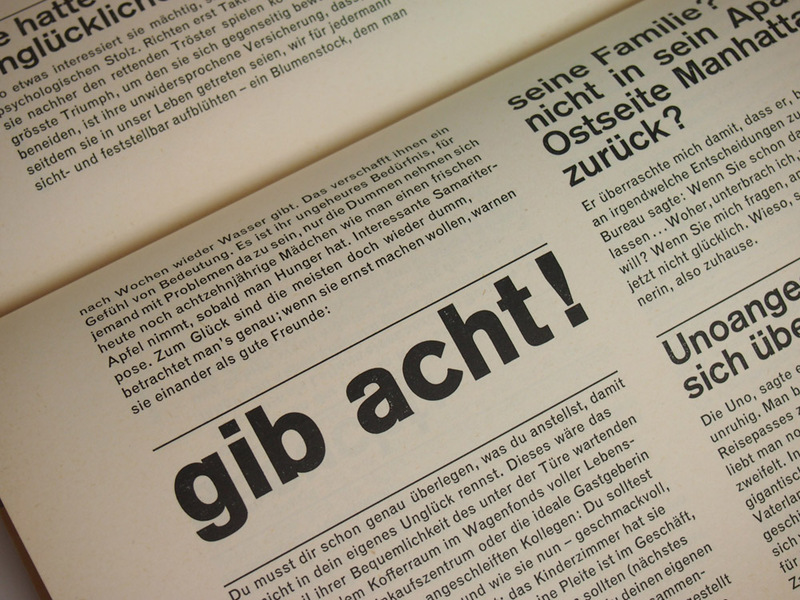 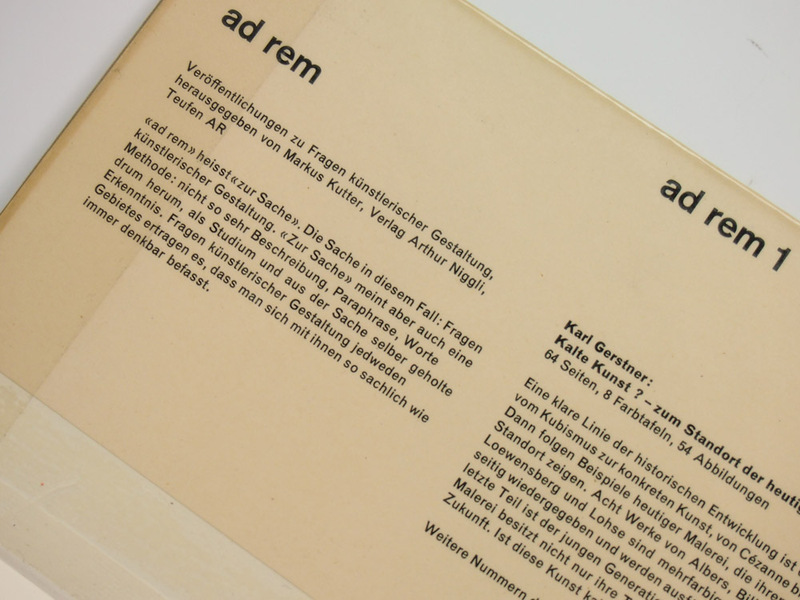 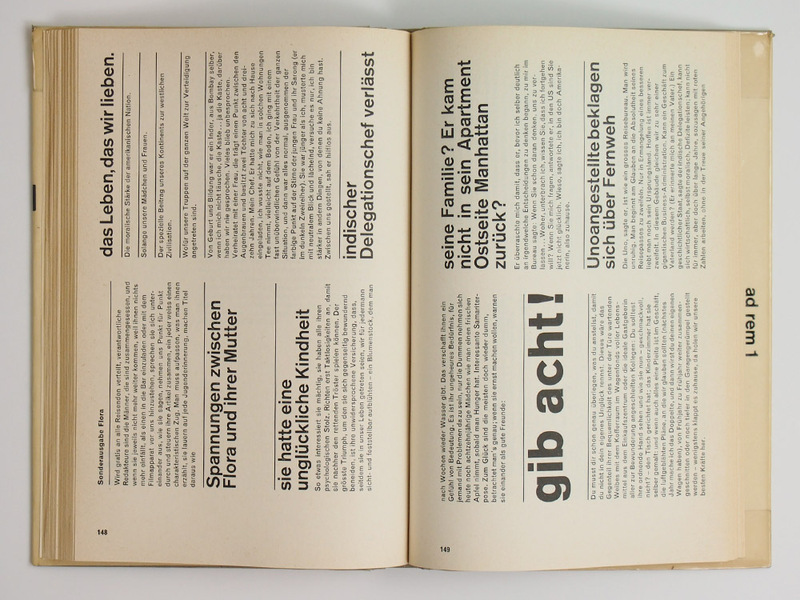 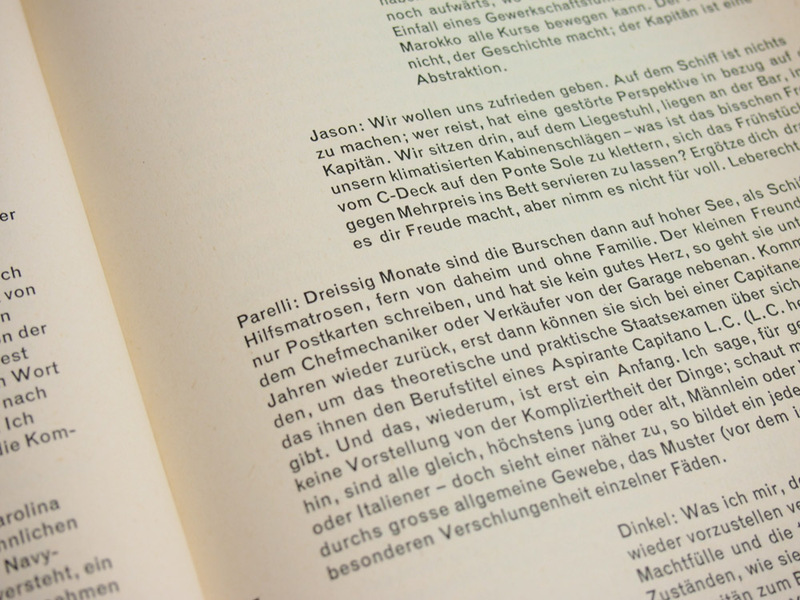 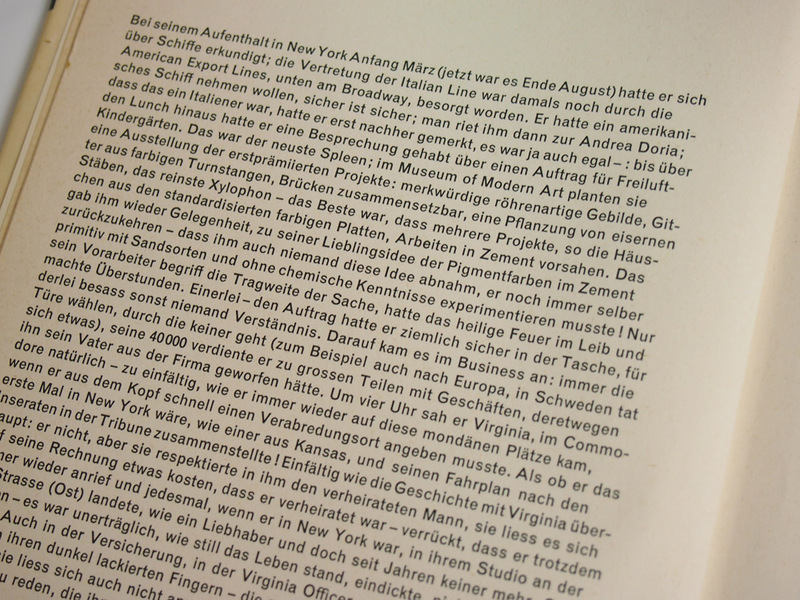 five years later gerstner explained in another book why he loves akzidenz-grotesk so much. 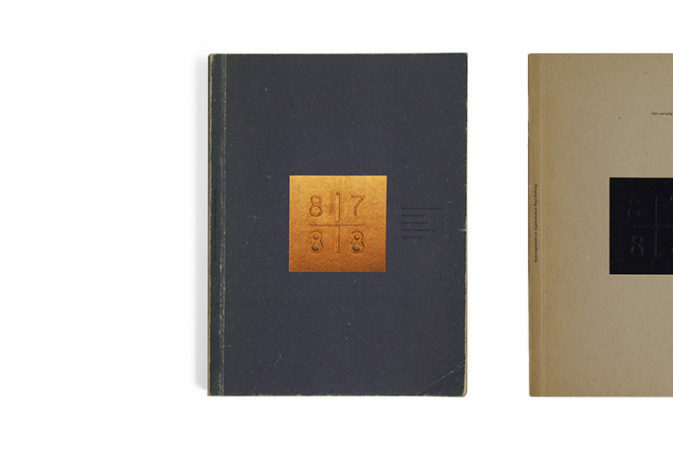 I wish I could have one too..
One of the most beautiful books ever made!